The fantasy role-players over at Hilltop Pottery rolled together a magical collection that any D&D fan will appreciate. Amongst the pieces summoned to the game are a hand forged iron dagger, a sculpted clay wizard oil lamp and my fire-breathing dragon magnet. Excited to see more treasuries as they are added! 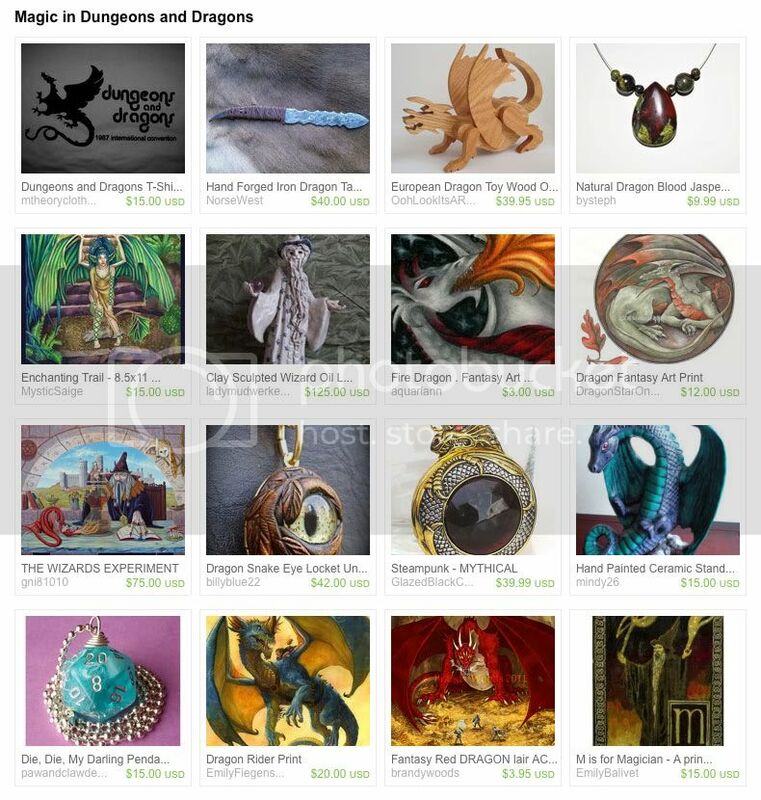 Just added the HP treasury you suggested - thank you for directing me here! Hooray, Treasury Tuesday! I just added one that I curated today, called Stop and Stare. Oh, so many nice things to click on here! Thanks for letting us link!